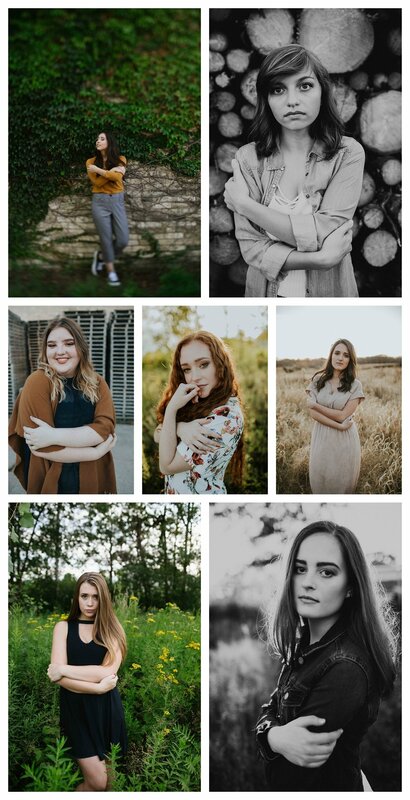 I know it's still winter but senior session season will be here before we know it! And I couldn't be more pumped. I've just been sitting over here daydreaming about sunshine and the most gorgeous photo shoots. We all know the makeup is important (Emily's the best of the best) and posing is key (I gotchu boo!) but a great wardrobe can be the difference between a good shoot and an amazing one. 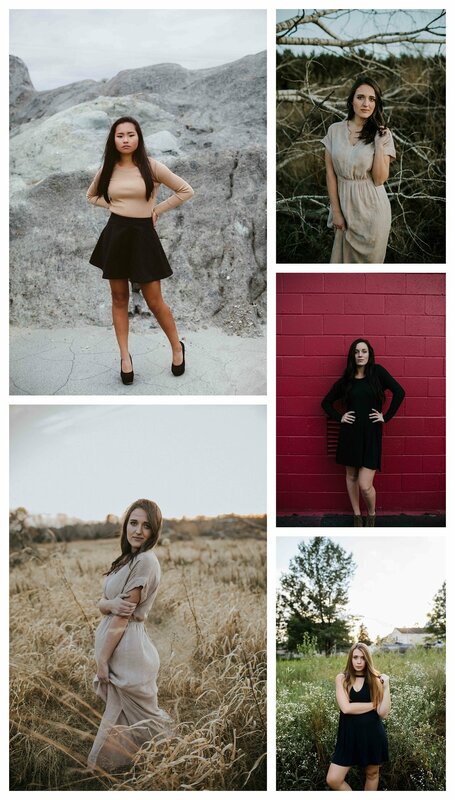 So I'm giving you a few pointers because I want all my little babes to have the raddest senior pictures. Cardigans, jackets, kimonos, dusters, a Stevie Nicks-esque shawl, etc. 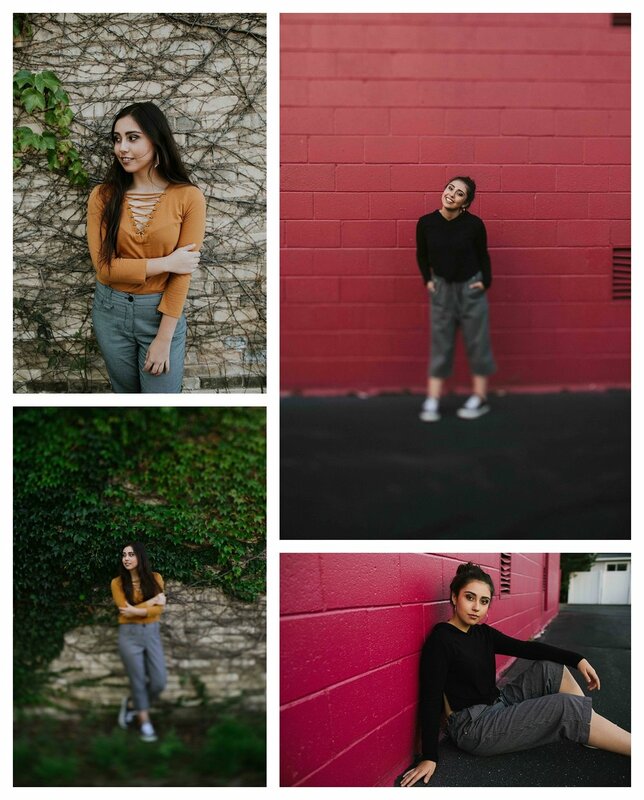 So simple but it will make any outfit more interesting and add some depth to your pictures. And if you don't have anything I'll gladly lend you my leather jacket for a little bit. Oh my goodness. I love hats. Felt hats, sun hats, beanies... Bring em all! Once again using one piece to change your outfit and make it more interesting. 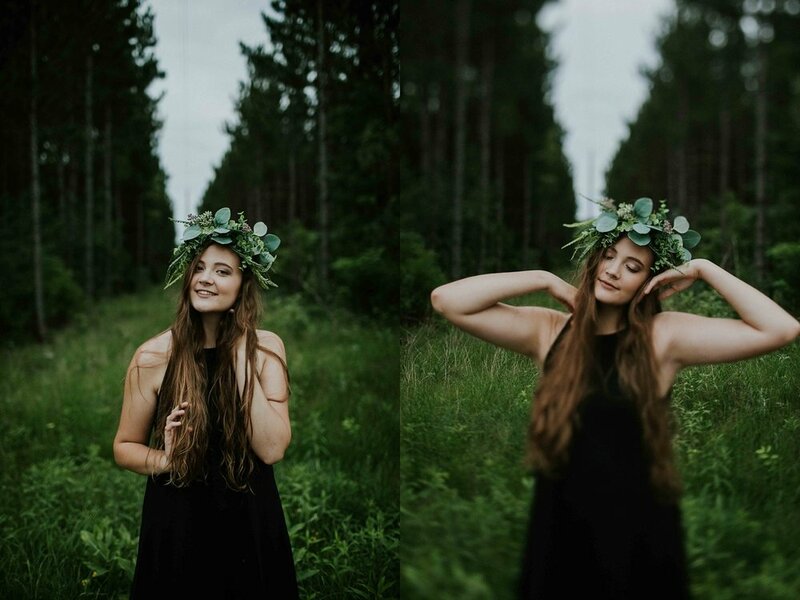 I'm also super into crystal and floral crowns, head wraps and head pieces, and anything else related. Once upon a time when I was getting my senior pictures down I was told that solids photographed best. But I'm pretty sure that was just a myth. Interesting patterns are my absolute favorite. Polka dots, stripes, floral, geometric shapes. Pair them with a solid or another pattern. Don't get me wrong, jeans never go out of style and they go great with just about everything. But sometimes, like when you're as fabulous as my girl Cookie, you have to rock something other than blue jeans. I'm sorry but both of these pants are freaking phenomenal. I also really like harem pants and leggings (I don't care what anyone says. They are pants!) for something different. This probably seems like a no brainer but it bears repeating... Dresses. You just gotta do it. Don't be afraid to go long or vintage or different. Really just get all the dresses (or skirts) and bring them. Make sure you pay attention to the colors of your outfits. Figure out your skin tone and undertone and then find out what colors look best on you. 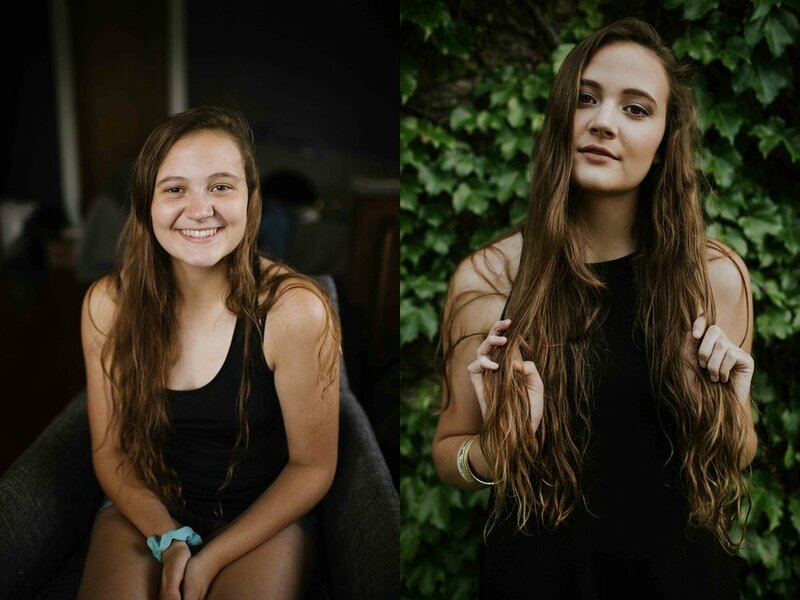 Also senior sessions usually happen during summer or fall so it's super easy to plan shopping for photos to coincide with your back to school shopping. Boom. Two for one.